But we baldies are supposed to be happy looking abnormal. 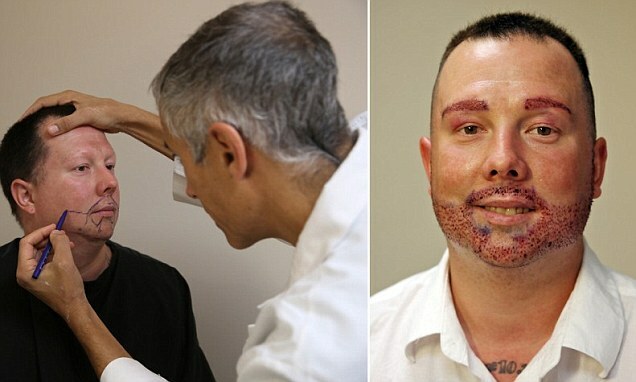 For the first time in more than a decade, Army veteran Joseph Jones was able to recognize bits of his old face in the mirror following a eight-hour procedure in Florida to repair damage to his face sustained by a roadside bomb. Well I can see the importance of having his eyebrows and eyelashes restored.